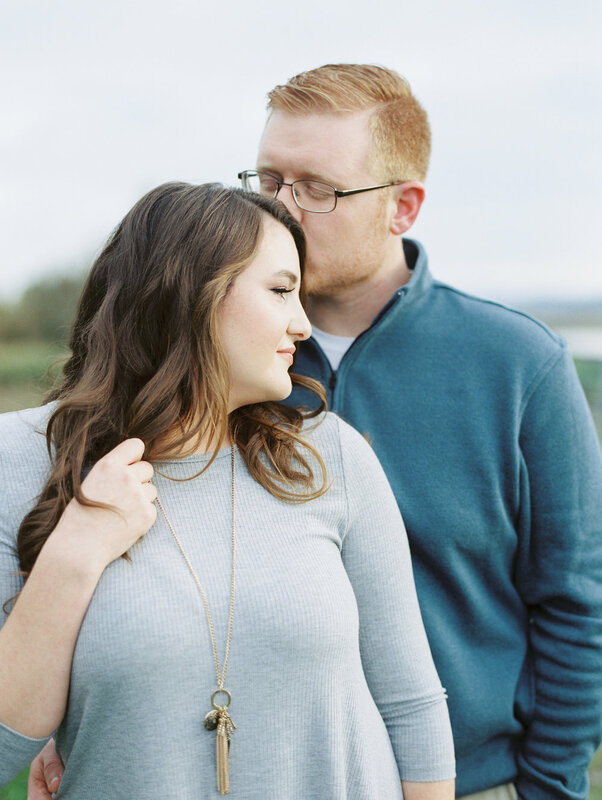 Lena and Scott were impatiently awaiting their next step as a couple: a home together. They are split up between a few roads, and a few hours as Lena finishes her degree; it would be a happy reward to her hard work and missed could-be date nights. We connected so they could document this important part of their beautiful relationship. Little did she know, there would be an even bigger surprise in it for her. I met with Scott in Portland a week before the shoot to "talk about the session". I put quotation marks here, but I didn't know Scott's plan at the time either! Before our meeting had ended, he asked if it would be okay if he proposed. Of course, I quickly said yes, brainstorming all sorts of ideas of where to shoot and where to stand. Scott told me that he had planned on proposing to Lena this holiday season, but he knew how important these photos would be to her, being a photographer herself. Of course, we had to keep our mouths shut, and act clueless the whole time. Sauvies Island was the perfect backdrop for this fall session. And November always surprises me when there is a hint of sunshine. Of course, she said yes, with no idea of Scott's plans, and proudly displayed her ring. When asked if he was nervous, Scott said not really, he was more excited than anything.